Abayas is a full-length piece of cloth, which is known to embellish a woman’s beauty. The modest Islamic wear personifies the charm of confident and dignified women with minimalistic designs in a long gown. So, is the modest Islamic fashion apt for all occasions? Can we look classy and dapper at the same time by wearing evening abayas? The market for modest evening gowns has been continuously growing, with girls flaunting abayas paired with hijabs and other Islamic clothing. The coming together of people from different demographics and religion has also paved the way for modest fashion. Here are 5 types of abayas to pick for different occasions. 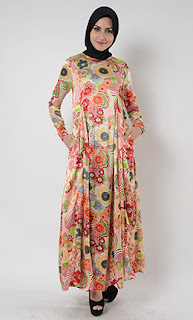 Printed Abayas are the new classy in the range of office attires. As women employees are increasing at workplace and taking pride in modest Islamic wear, printed abayas is the best choice to look elegant and classy at the same time. The confident woman who runs the world is best portrayed with this attire. For the weekend mood, where you spend your afternoons sipping coffee and catching up on reading, where you roam around to find that new boutique, hooded, striped, plus size abayas are perfect to complement your weekend mood and are also fit for everyday use. Sequin and crystal abayas are perfect for flaunting on the most important occasion in a person's life – the wedding. Compliment your mood with plain yet swanky abayas. The eye catchy patterned abayas are designed to steal the limelight in every party.